On 15 June 2017 in Ploiesti City, ERGO member “Center of Resources for Social Inclusion CRIS” organized the first Regional Meeting with representatives of 7 Local Action Groups (LAGs) from South-Muntenia Region and South-Est Region in Romania. The aim of the meeting was to present Roma interests in the LAGs territories and their specific handcrafts in order to identify potential beneficiaries from LAGs territories and to build new relationships with local authorities. 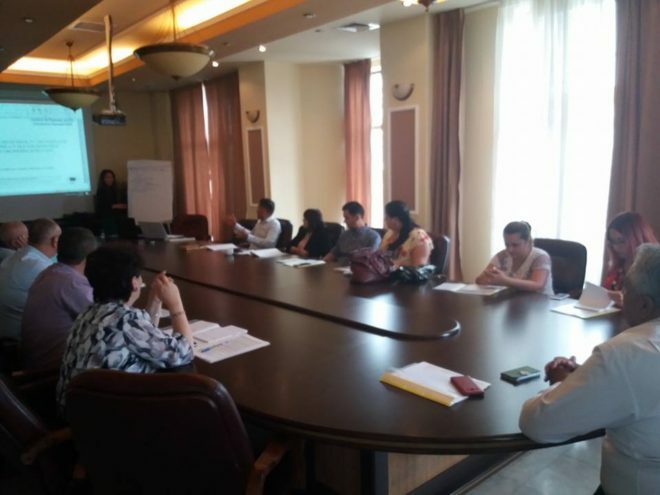 The participants agreed that in order to increase the capacity of LAG teams to better work with and for Roma and to increase the number of Roma as beneficiaries in the measures of Local Development Strategies, LAGs animation is very much needed. As an outcome of the meeting CRIS will develop a recommendation letter regarding the effective participation of Roma in accessing, implementing and monitoring Local Development Strategies of LAGs.